Starting today, for the full 28 days of February…and for the last time, Moog Music is offering hefty rebates on its best-selling equipment. Moog's Grammy Sale offers rebates of $100 on any Minimoog Voyager, $75 on any Little Phatty and $30 on any Etherwave theremin or Moogerfooger purchased from authorized Moog dealers during February. "We've been doing this program for five years and it's proven to have a positive impact on Moog dealer sales ~ every year we see a significant spike in customer product registrations during the month of February. 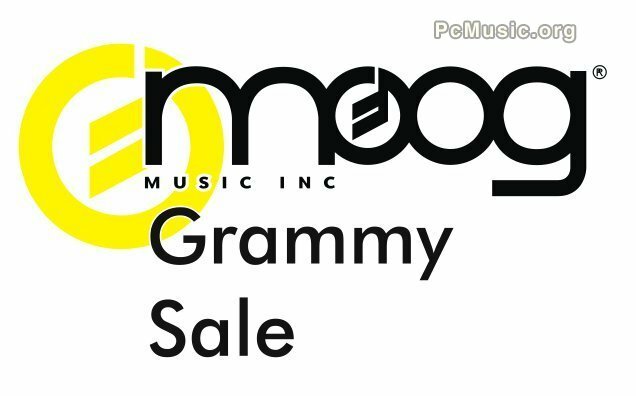 We plan to replace the Grammy Sale with something equally attractive in the future, and we thank our loyal customers for participating in the sale," said Chris Stack, Moog Marketing Manager. For more information on the Moog Grammy Sale, please visit Moog's website. Jan 21, 2013 Moog Launches Sub Phatty! Oct 14, 2010 Moog introduces Slim Phatty! Oct 13, 2010 Moog goes to iPhone! Feb 8, 2010 Moog Voyager OS updated to version 3.5.